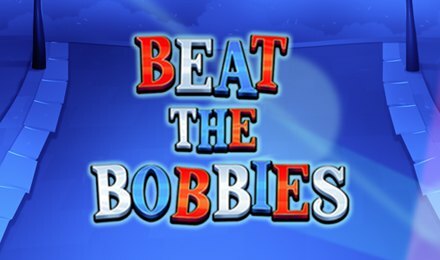 Help Penny to steal some of the most expensive gems at Moon Games by playing Beat the Bobbies slots. Steal the massive wins on this 243 ways to win slot! There’s a mission concocting at Moon Games, and you can be part of it. You just have to ally with Penny to steal the most precious gems of the crown! You will find the outlaws on Beat the Bobbies slot. If you are brave in your mission, you can grab your fair share of the stolen gems. This slot game which is themed on action is a 243 ways to win one. While the five reels are rolling, you can choose the volatility of the spins accordingly. This latest creation of Eyecon comes packed with multipliers and different options of the free spins round.